Tristan J. Shuler makes his off-Broadway debut as Tony winner Daveed Diggs (and many, many others) in Spamilton, the LOL musical parody of Hamilton. 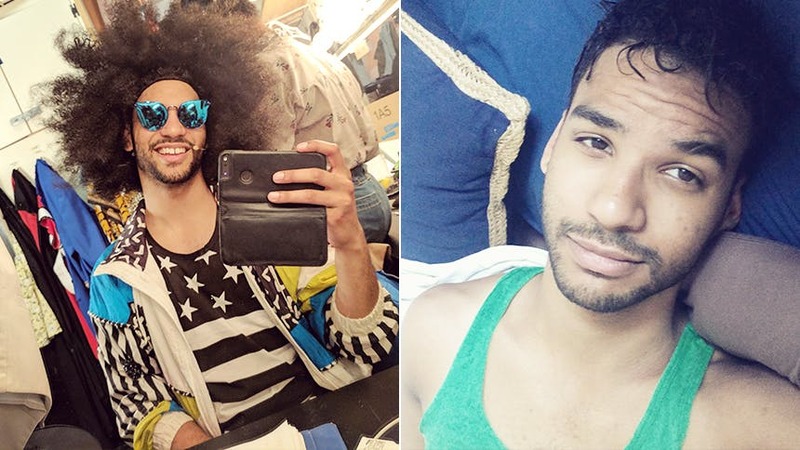 BroadwayBox caught up with the multi-hyphenate actor-director-writer to hear about the key to his Daveed Diggs, the Disney musical he's dying to bring to Broadway, and his desert island Hamilton song. Never stop smiling. Daveed has the cutest smile in real life, and it's contagious. What I make sure to do is have the most reckless fun on stage, and I make sure to smile so much that even if I'm in a bad mood before the show, my cheeks hurting will force me to laugh and have a good time so that the audience can do the same. I mean the whole show is a riot. And my favorite scene changes every other week. Right now, I'd say the most fun I have on stage is during "In the Hype" which is our version of In the Heights. I just really like how cheeky we get to be and the secret glances and eye contact I get to make with some of the other actors during the dance. Hahaha, well the first thing I did when I was hired was get costume measurements with Dustin and he said, "Oh, you don't have any tattoos, that's great because you're shirtless for the whole show." And I responded, "Um...excuse me?" Then he explained the underwear number, and I died laughing and immediately left and went to the gym. So truth be completely told, I don't know all the music from Hamilton. I learned Hamilton by means of Spamilton...I know...Nevertheless, Phillipa Soo singing "Burn" is what I live for. I think a song that can connect to my emotional life like that and be so fierce is something I'd want to listen to on a desert island alone and going crazy. So...this isn't a joke IN the show, but during our song about The Book of Mormon I'm smiling so hard on stage but being super cynical about my musical's failed success, and I always laugh thinking that I'm like Georgina in the Jordan Peele movie Get Out when she goes "No no no no no no no" shedding a single tear but needing to smile. I reenact it multiple times during the day and can't stop laughing. Well I grew up on a military base in Brooklyn, so we actually didn't really ever come into the city because everything was there for us. What I remember from my childhood there was how family-like our entire neighborhood was. And that you could walk anywhere you needed be. So much freedom. Being in a car didn't become a normal thing until I moved to Pennsylvania. I auditioned for this musical once where I had to kidnap and torture this girl who the reader was reading for. I grabbed her while I was singing and messed up her hair: she didn't mind it but the director stood up and yelled at me for touching her. I guess I got too in the moment. Give me a call and I am ready to walk onto American Horror Story any day. Serial killer, undercover as a loving boyfriend any day. Or whatever Ryan Murphy gives me, I'm not picky. If and when Disney's The Princess and the Frog comes to Broadway (or live action movie), I must play the Shadowman, Dr. Facilier. No questions asked. Also, if Urinetown, the Musical ever becomes a movie, I'm dying to play Bobby Strong. And always Jafar in Aladdin. At the gym or organizing my emails into folders. Both very therapeutic. Don't miss seeing Tristan J. Shuler slay in 'Spamilton' off-Broadway at the Puerto Rican Traveling Theatre.